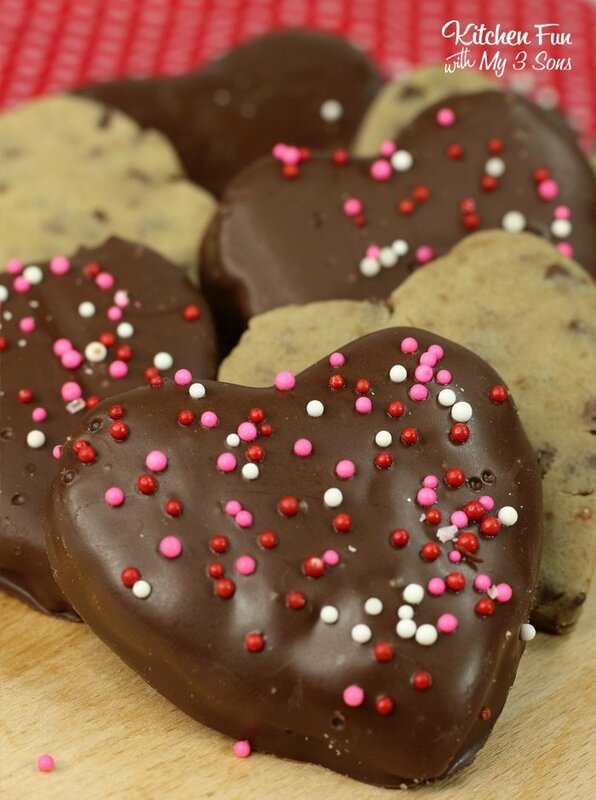 Chocolate Chip Cookie Dough Hearts are an adorable snack for Valentine’s Day. 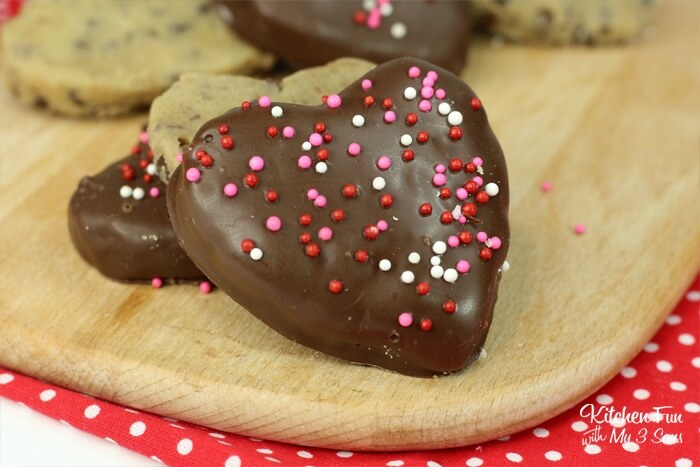 This eggless cookie dough dipped in Ghirardelli chocolate and covered with sprinkles will make your Valentine smile. 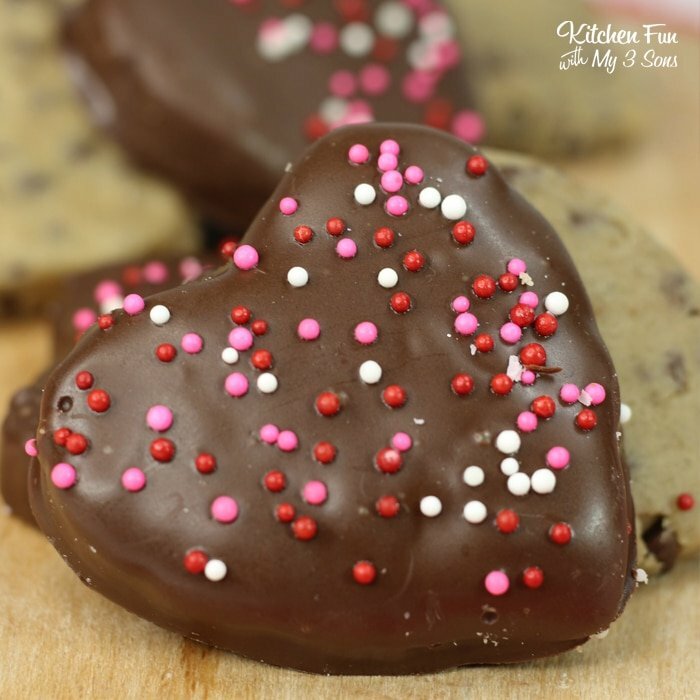 I love making sweet treats for everyone all year ’round but especially on Valentine’s Day. 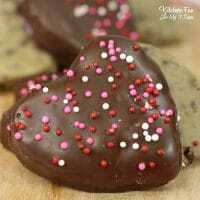 I usually start the day with a fun heart themed breakfast and then make a dessert for my family like Valentine Surprise Cake or Teddy Bear Oreos. 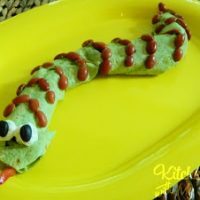 This recipe is one you will definitely want to save because you can use this all time, not just Valentine’s Day. 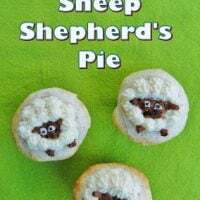 Just change the shape of the cookie cutter and the color of the sprinkles and you can make this for all sorts of holidays. 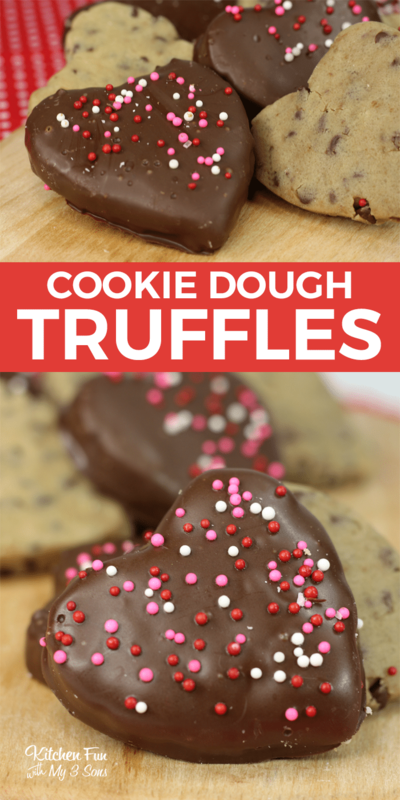 Or just any time you feel like having cookie dough truffles! So many people love cookie dough but of course don’t dare eat it since it’s got the dreaded raw eggs inside. These cookie dough truffles though, leave out that ingredient and are perfectly edible and just as good as regular dough. 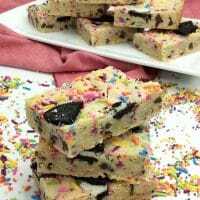 In my opinion there are two very important ingredients in this recipe: the vanilla extract and the melting chocolate. I always encourage you to use the best vanilla you can find, the imitation stuff just doesn’t cut it. Second, the Ghiradelli is the very best and you don’t want to skimp on that item either. IS IT SAFE TO EAT RAW FLOUR? Consuming raw flour can possibly cause foodborne illness in case if the flour contains bacteria that cause disease, according to a warning from the U. S. Food and Drug Administration and the Centers for Disease Control and Prevention. It is best to heat treat the flour before consuming. HOW DO YOU HEAT-TREAT FLOUR? Preheat oven to 350F degrees. Line a cookie sheet with parchment paper and spread flour in an even layer. Bake for 5-7 minutes, use a thermometer to check that the flour reached 160F (72C) immediately after removing from oven. Once flour has reached 160F (72C) allow it to cool and run it through a sifter to break up any clumps that may have formed while baking. Using a large mixing bowl, combine the flour, baking soda, salt, sugar, brown sugar, butter and vanilla and mix until combined. Allow chocolate to harden for 30 minutes before enjoying.